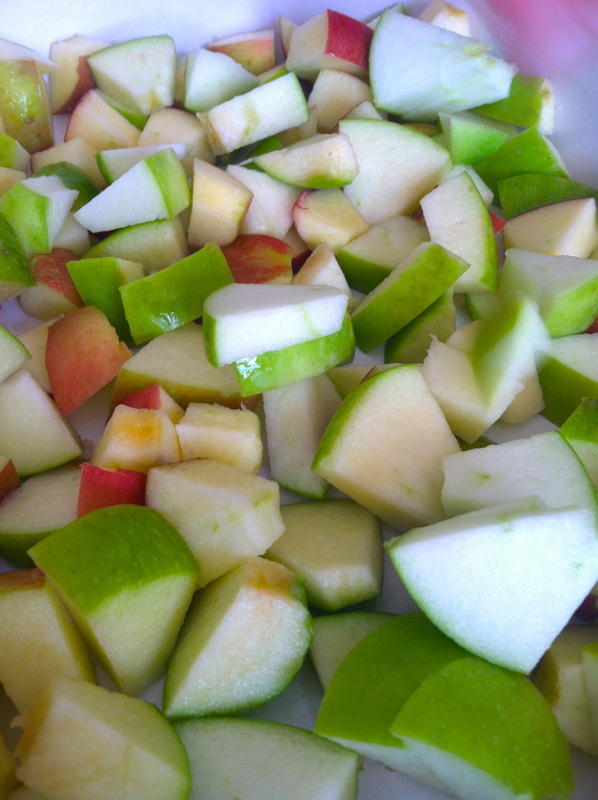 Chop up your apples- we used Braeburn & Granny Smith (nice crisp and tart apples). 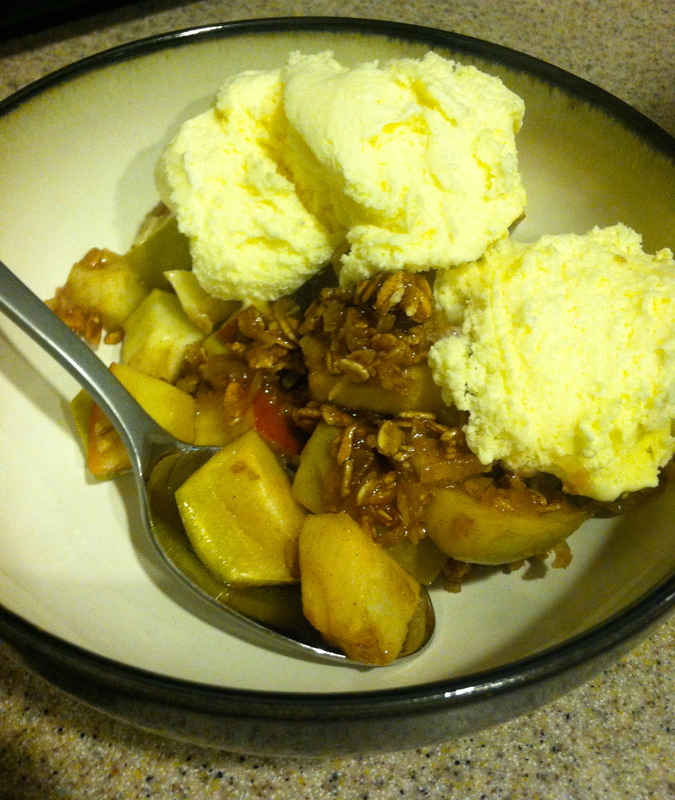 Rolled oats and buttery cinnamon coconut gooooodness! 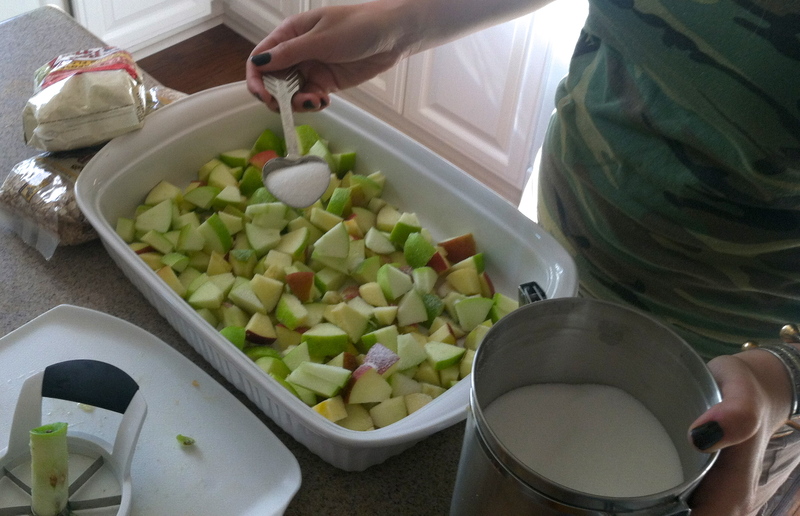 In an 8×8 baking dish combine the sliced apples and sugar. Stir to coat well. 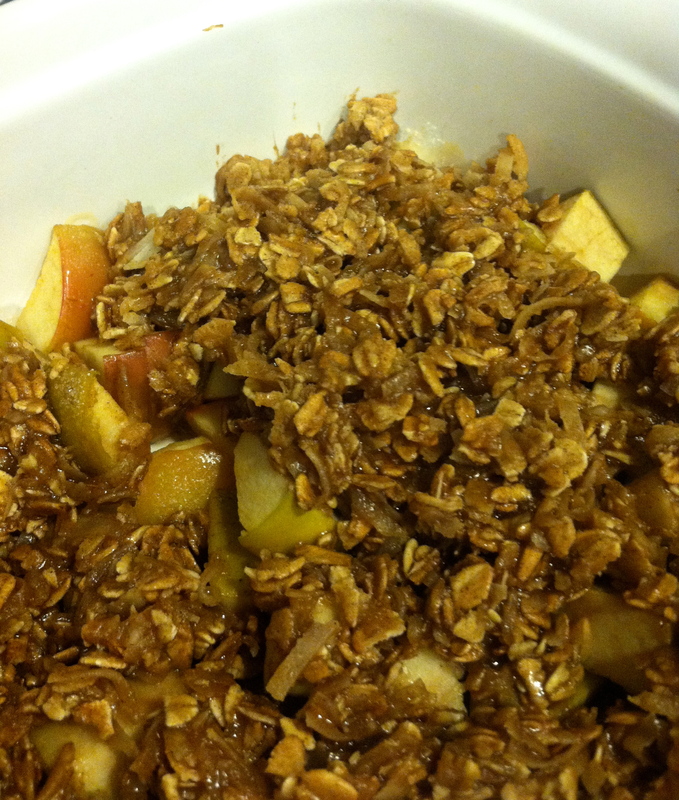 In a medium bowl mix together the oats, brown sugar, flour and cinnamon. 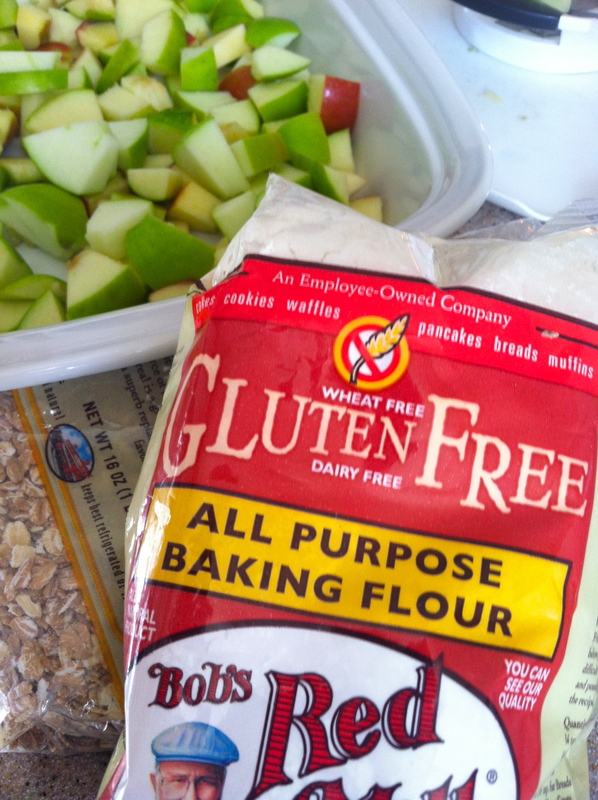 Cut in the margarine, mixture will start to form coarse crumbs. 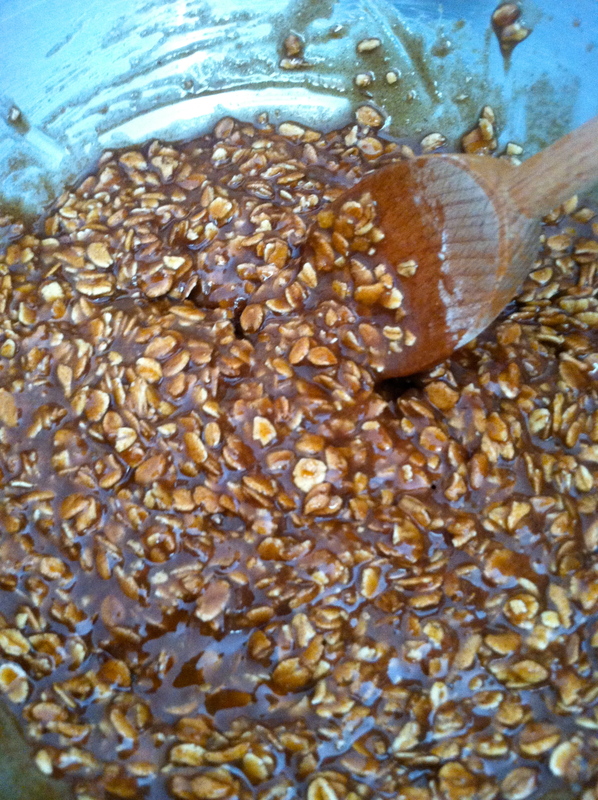 Stir in the walnuts or coconut.